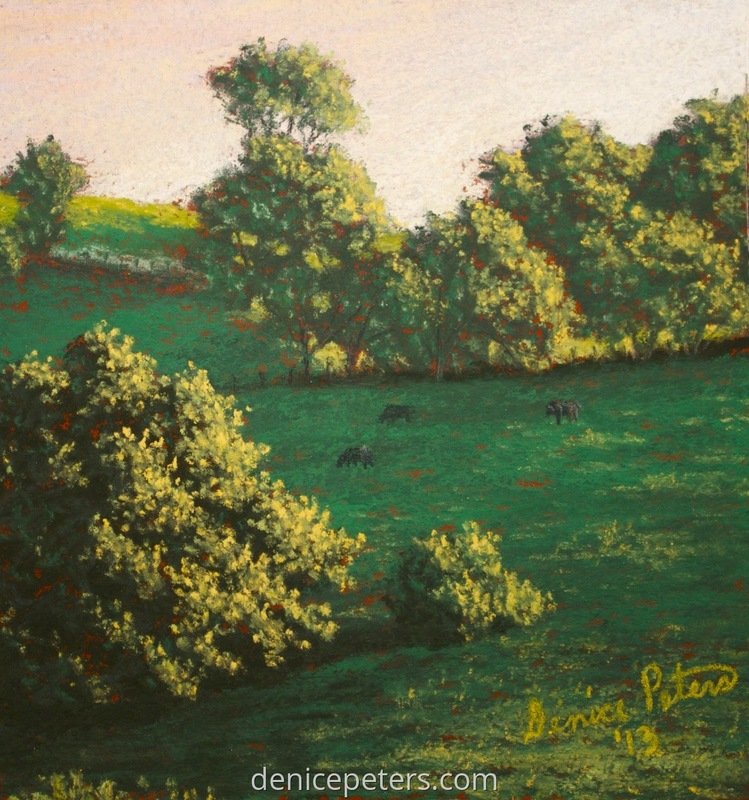 This is an alla prima painting (quick sketch) done of a pasture near my home. I love this late day light and the way it just glossed over the trees and grasses. It is done in pastel on rust colored pastel paper.